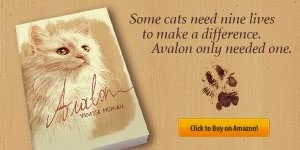 Avalon is giving away the books Ghost Cats - Human Encounters With Feline Spirits and Haunted Pet Stories - Tales of Ghostly Cats, Spooky Dogs, and Demonic Bunnies as part of the Spooktacular Giveaway Hop. People who have spent their lifetime observing and interacting with cats will say that these amazing animals seem to possess powers - supernatural, psychic, or otherwise - that we can only begin to comprehend. But are they able to return from the grave as well? 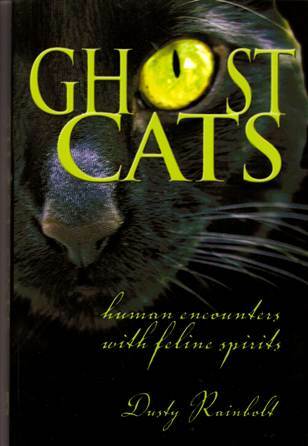 In Ghost Cats - Human Encounters With Feline Spirits, the strangely heartwarming tales of cats who have refused to let death part them from their human companions are recounted in vivid and captivating detail. A thrilling read for the cat and ghost lovers among us, and a consolation for those who have lost a beloved pet. Since ancient times, stories have abounded concerning the existence of ghost animals. From the Native American animal spirits, to the menacing demon dogs of medieval England, to present day encounters with animal apparations, there can be little doubt that animals, like people, live after death and pass back and forth between this world and the next. In the realm of the paranormal, experiences of deceased pets who revisit the living are common events. Like the ghosts of humans, pet ghosts return for various reasons. Sometimes they appear to say goodbye. Sometimes they want to reassure their grieving owners that they are all right, and that their spirits are always with them. And sometimes, as they often did in life, they are guarding their beloved humans, delivering a message or a warning. 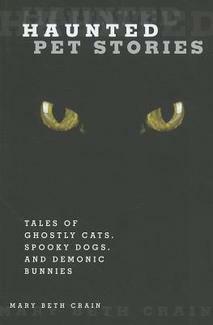 Haunted Pet Stories - Tales Of Ghostly Cats, Spooky Dogs, And Demonic Bunnies covers a wide range of encounters with animal ghosts. Some of these encounters are comforting, others are terifying. In general, when pets return in ghostly form, they provide comfort and protection to the living. But there are other less benign phantom creatures who have been known to haunt places of violence, or exact revenge upon humans for evil deeds which, while long past, have somehow evaded justice. 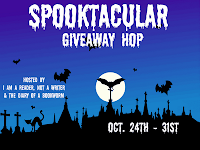 The first winner will receive Ghost Cats - Human Encounters With Feline Spirits and a second winner Haunted Pet Stories - Tales of Ghostly Cats, Spooky Dogs, and Demonic Bunnies. If you have a preference for one of the two books, just let me know. Giveaway is open worldwide and ends November 1st at 11:59 pm EST. The winners will be notified by e-mail and has 48 hours to reply back. To have a chance at winning, do one or more of the following and post a comment below about each action you took. Each comment will count as a separate entry so your chances of winning increase. What a great idea for a book! Shared on Facebook. Fun giveaway - I'm a GFC member, thanks! Following on GFC.... 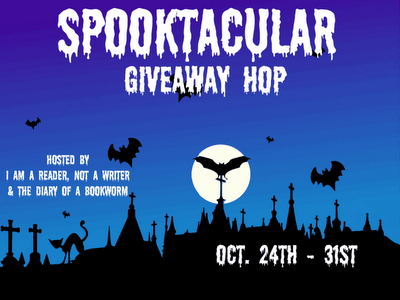 I have a ghost in my house....always messes with the lights in the house...great giveaway!! Good luck to the giveaway participants! I know it is early but it seems appropriate. I do not have a pet ghost story. I often think of departed dogs and cats we have had and sometimes think I see them in the streets but that is about as far as it goes. A couple of years ago after my 15 year old cat had been missing about a day I saw her ghost. I couldn't see her if I looked directly at her I could only see her out of the corner of my eye. I saw her come in a closed window stop and sniff some tools laying in the floor in front of the TV. Then she ran down the hall and I haven't seen her since. She didn't die a natural death something killed her. The bad thing about this is I had been having premonitions about this for months and I still couldn't stop it. Has anyone else had experiences like this? I have a story about ghosts of pets too, mor in particular the story of a haunted guinea pig. On a beautiful summer day in 1925, Major Wilmot Allistone decided to take some photographs of his wife and children. In one of the photos, he was surprised to discover, in place of the teddy bear that her boy was holding, the deceased guinea pig of the latter. The animal had been eaten by a dog a few days ago and no one seems able to explain its presence in this photograph. Although this photo is controversial and opinions differ as to the claret of the animal ghost and opportunities for cheating. According to the experts who examined the photo, the thesis of a hoax is unlikely. This photograph of an animal ghost is one of the most popular distributed on the net. However, several other images, more or less eloquent, were also presented, but virtually none of them did not exclude the doubts of cheating. And I became a follower of your blog two weeks ago. New follower on GFC (katsrus). Your blog is so cute. I love cats. I don't have either book so no perference. I love my beloved kitty to a house fire. And shorty after I moved into my new house on same site I would feel someone rub against my legs. No one there. I would also hear light meows now & then when my other 2 cats where sleeping and no where around. I also felt like he was always near comforting me. I am a follower, GFC, Facebook and Twitter. I have always been a cat lover and I can not remember a time in my adult life without one...thanks for the giveaway!!! I am #212 in this giveaway!! Shared via Haunt Jaunts Twitter acct. Shared on Facebook. I believe Animal Spirits stay with us. Our first dog moved in 3 weeks after we bought our first home. Muffie was our baby - and stayed with us for 18 1/2 years. 9 months after she crossed to the Rainbow Bridge, we moved to a new home. 2 1/2 weeks later I was surfing the rescue sites - just looking - since we still had out 17 1/2 year old lab mix - Barney. He was Muffie's best friend. Instead I found a small dog - with an expression that had me shaking. Muffie no doubt! Three days later we were at a shelter I had never visited - but passed with Muffie on her vet visits. We found ourselves adopting a 9 month old little girl, who had traveled all the way from Puerto Rico to find her forever home. Gypsy freaked us out many times in the beginning - her habits, her expressions, her instant attachment to Barney. We finally realized - Muffie sent her - and we know her spirit came with her. Years ago, after our cat, Ra, was put to sleep as he had a problem that could not be cured. A week later, a friend of mine, Kathy, called me on the phone and said, "I thought you had Ra put to sleep? I saw him lying on the kitchen window sill as I drove past the apartment." I replied, "Kathy, Ra'd been dead for a week." All she said was "Oh." Later, as I laid on my bed, I felt something jumped up onto the mattres and walk up to me. I knew then then that it was Ra. Shared on facebook and Google friend connect! Demonic bunnies? I love that title! Haha, My bunny is a demon - he eats my yoga mat when I'm trying to do yoga! Pet ghost story? We had a Bernese Mountain Dog when I was younger. I was 10 when we got Rosa, 17 when she got incurable cancer and we had to have her put down. She'd been through a lot with us - twice we moved house, once to a different country, and had been the perfect companion for my parents and all three of us children when we were all ships without anchors. She helped to keep our lives balanced at a time when none of us was really in a good state of mind (moving from England to France will do that to you!). The day we had her put down, all of us had a dream of her that was so vivid we could even smell her. It was like she was coming to say goodbye one last time and she was telling us that it was ok.
Follower via GFC as Rea. thanks for the giveaway! shared the giveaway on FB AND am following publicly with Google Friend Connect. Sorry, no pet ghost stories although we did have a pet cemetery below our garden area where I grew up. It was kind of creepy since we went through a lot of pets. I had this dream once... I was sitting in the garden and suddenly I saw our cat that died a few months ago. It was a lucid dream. I said: you are still dead, how do you get here? He said: I've only returned in your dream. In real life I'm dead. I said: do you live in the land of the dead (Heaven)? He said: Yes sure, you dream everywhere. I said: What does the sky look like? He said: it looks like a huge city with a lot of people and animals. It is not just people of the Earth, but also aliens. I said: Am I allowed to know this? He said: of course, you now know what you can expect when you die. I said: is it just because it's Easter is that you are back? He said: I'm not back. You are now talking with a dead cat. You can only hear me in your dreams. I cannot come back to the world. I said: Is god the same as jesus? He said: Yes, if you think god exists than he is. I said: what can you all do in heaven? He said: you can do anything you want, just sitting there like the Earth laws. I said: how is the technology in heaven? He said: everywhere where you want to you can listen to music without any technology without anyone suffering. I said, I do, bye. These books sound great! But if I win I hope they don't make me afraid of my cat! I had a cat who got out and disappeared shortly after I moved to where I am now. I never found out what happened to him, but he always slept on the bed by my legs. Most every night, I feel a weight jump on the bed, and thinking it's one of my present cats, I look down, and nothing is there but I feel a weight settle next to my legs. Became a public member of this blog. I would love to have either of the books! I love animals, particularly cats, and I believe in ghosts! I am loving these comments (stories)! How fantastic! CUTE blog! I'm a public follower via GFC! A few years ago, my pet dog died. The next year on the anniversary of her death, I was going to school. When I got out of the car, me and my mom heard something (we were the two people closest to the dog). It was a bark. Only me and my mom heard it. My brother, in the backseat didn't hear it. The bark was the dead dogs bark. Nobody around the school owns a dog. I looked around, there was no dog around. A few years later my cat died. On the same day as his death, I went in my room. Beside my closet, I saw something. It disappeared in thin air. It was my dead cat's tail. It looked as though the cat was in my closet and the tail was curled around the door. Then, I felt peace as if my cat had said goodbye. I believe my dog and cat spoke to me in ghost form. What do you think? I need help and advice about this. Also one time I was in a play. Everyone said the theater was haunted by a girl who had black braids. I didn't believe them. Then when I was rehearsing we had a break. When I turned around, I saw the ghost. Nobody else did see her. At first I walked away. But she followed me. I was really freaked out. Then when I was alone, I felt cold air glide through me. The ghost was in front of me! She had gone through me! I ignored her and was tripped when nothing was there. When I went home the ghost followed. To this day the ghost is still here. Also I see more ghosts now too. I'm a new GFC follower. Thanks for the chance! I would love to read Haunted pet stories. I'm a GFC follower as Thais. I would love the ghost cats. GFC Krystal Larson these look great, thank you! GFC follower and i am so happy i came across your blog! 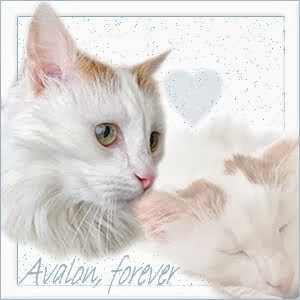 just sat with my dying fur child sat as he passed on... i cant wait to come back and read more on your site! thanks! I don't have a pet ghost story. I wish I did. After we had to have my ferret put down (she had a rarer form of leukemia than what ferrets usually get), I would still hear her collar bell jingle until we moved from that house. You will see your animal later again. I heard my dog weep a few days after his death and I saw him waiting at the gate. I see and hear everything from there that I got by. Enter me. I follow this site on Google Friend Connect. P.S. Those books sounds interesting! For a short time in the nineties, my husband and I lived in an apartment in a very old terrace house in Paddington, Sydney, with our young cat, Sabrina. On many occasions, without warning, and for no obvious reason, Sabrina's hackles would go up, she'd start hissing, spitting, and doing that weird little sideways-jumpy thing that cats do in a confrontation, all the while focusing on some empty space in front of her. We became so concerned about this that we consulted a vet. The vet concluded that we simply had a neurotic cat. When we moved out of that apartment the odd behaviour abruptly stopped. Sabrina lived to the age of 15, and shared 5 more homes with us, yet not once did she exhibit that strange behaviour again. I think these are demons that have been summended, usually from people being stupid and not knowing what they are dealing with. I think they prey on children and the elderly. exspecially if the human person have no positive inner faith to help protect them. I think they can pretend to be good or disguise themselves as children to coaks human children to go with them to their death, out a window , smothered, or other ill faited incidents, protect your children while their young have them babtised teach them a prayer or to call on a deceased love one to protect them . good luck. A blog entirely for you, my cat. Because I love you so much. Don't miss a post. Follow by Email.